So you want to help your local animal shelter or rescue organization, but you don’t quite know how to start? There are a ton of ways that you can help the animals. Rescuing one animal might not change the world. But the world changes for that one animal. This is what animal shelters and rescues need most. Adopters. If you have the time, energy and space, consider adopting a (or another) rescue animal. Dogs and cats both like fur siblings. This one is pretty obvious. If you can afford to, make a donation to your local shelter or rescue organization. It doesn’t have to be a large donation, any amount helps. Don’t have the financial resources to make a donation on your own? Contact the animal shelter or rescue organization and see if you can make up change jars to set out at local business. Or if you belong to another group or organization, such as a church group, ladies aide, lodge or club. Do a fundraiser with your organization benefiting the animal shelter. It can be as easy as passing around a jar for donations at your next meeting. Or as complicated as planning a fundraiser, such as a bake sale. Or collect much needed supplies for the animal shelter. Most have wish lists published on their website or Facebook pages. But some always needed supplies are newspapers, paper towels, dog and cat food, treats, bleach, laundry detergent, dawn dish soap. Gently used collars, leashes, bedding and blankets are always welcome too. Dog toys, cat toys, and bowls (a lot of shelters use only stainless steel) are also always needed items. There are also a ton of DIY dog and cat enrichment toys that can be made easily. Make some and deliver them to your local animal rescue. Take a homeless animal into your home. Teach them what it’s like to live with a family, and help with some basic training. Animals benefit greatly from living in a foster home. Socialization, manners, indoor behavior, more exercise, a respite from the stress of the shelter. These are all things that foster animals get in their foster homes. Fostering makes animals more adoptable. Less stressed. More social. Less fearful. Just about all animal shelters rely on volunteers to help walk dogs. Play with cats, kittens and puppies. Help clean kennels and cages. Clerical duties, transporting animals or supplies. Some animal shelters and rescues have their own stores and need volunteers to clerk for them. Volunteers at animals shelters are very appreciated, and very necessary. Each organization will have many different ways in which you can volunteer your time to help the animals in need. If the shelter allows, take the longer term residents on a day trip. Getting out of the shelter environment, even for just a few hours, helps the animals who have been there for some time. If you have any photography skills at all, go to the shelter and offer to take photos of the animals. Good photos can make a big difference in how the animal is perceived in adoption profiles. Or a writer? Use the information the shelter staff provides and write up some awesome profiles for the animals in need. Are you great at planning events? A real people person? Animal shelters are always in need of fundraisers. Plan one on your own (check with the organization first), or offer to help with one that is already organized. Plan a bake sale, a car wash, or whatever idea you can come up with. Even something that seems as small as sharing the adoptable animals from your local animal shelter can be a real help. Every share puts that animal in front of hundreds of more people, giving it a better chance to find the perfect people for him/her. There are many, many way to help your local animal shelter. You just need to find something that suits you! Ask the other volunteers and staff for more ideas to help out. 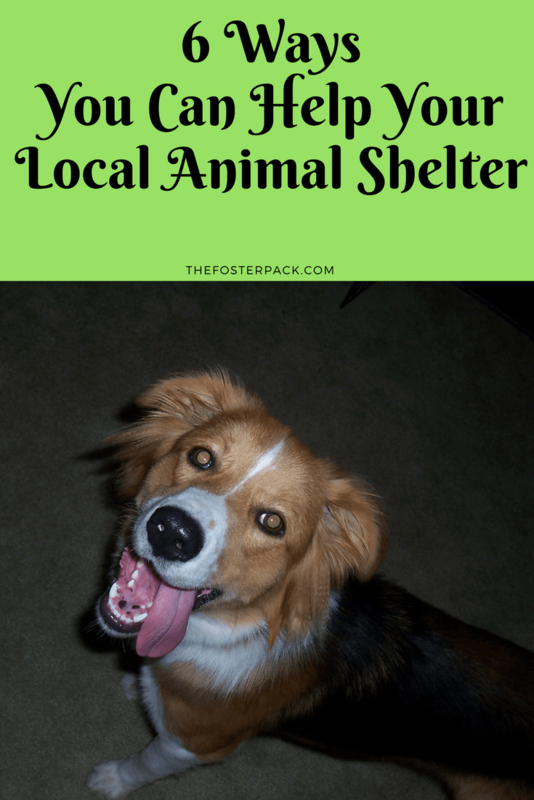 How do you help your local shelter? Woah this specific website is fantastic i love examining the articles you write fundraising. Continue to be inside the great function! You understand, a lot of everyone is seeking spherical due to this information and facts, you may enable them to considerably.